Freemake Video Converter is a free yet powerful video converter for Windows 7/Vista/XP. But it’s not so lucky for Mac customers, and the reason is that there is not a Freemake Video Converter Mac version so far. In this case, if you’ve dream of converting video on Mac using Freemake, you’d better download an alternative to Freemake for Mac version beforehand. Anyway, to download Freemake for Mac for video conversion can be a Walkover as long as you own a video converter designed for Mac OS specifically. 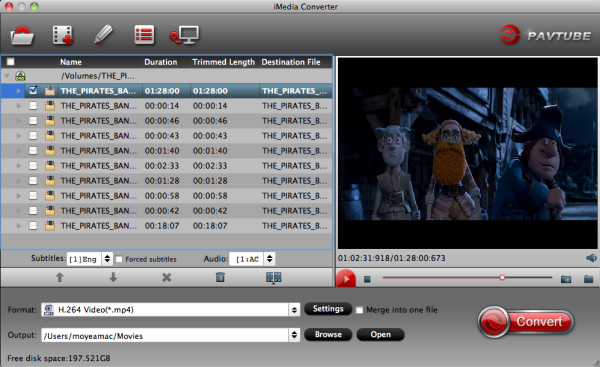 Here Pavtube iMedia Converter for Mac can be the ultimately professional yet effortless-to-use Mac Freemake alternative. It supports almost all the features that Freemake for Windows provided, including converting video to and from an array of video and audio formats including but not limited to MOV, MP4, AVI, WMV, MPG, and so on. Besides that, it can also rip Blu-ray and DVD for multiple use on your Mac system. Below is the detailed tutorial to use the Freemake Alternative for Mac to convert video on Mac(Mavericks/Yosemite). Launch Pavtube iMedia Converter for Mac first. To import the local videos you want, you can click the “Add Video” button. A pop-up window will lead you to locate your local files. Or you can directly drag the videos you want from your Mac to this program. Batch conversion is supported. Click the “Format” icon, and then go to the right category to find the video format you want. As you can see, various video formats like MP4, MOV, MKV, FLV, WMV, AVI, etc. are provided, select a Mac supported format for playback. You can also choose the icon of iPhone, iPad, iPod, iMovie, Final Cut Pro, Samsung, Android, etc. to get videos with best settings for the selected device/software. If necessary, you can perhaps try to edit your video files with the video converter Mac. Nothing unfamiliar from the Freemake Video Converter, you can also easily cut your videos. In addition to that, you can trim, add effects to your video clips together with the insertion of subtitles as well as watermarks. Click the “Convert” button to start converting videos. You can follow the conversion process from the pop-up Windows. Once the task bar shows in 100%, just click Open button to locate the output files. Hence, you can now transfer and play your video files like VOB, MKV via Mac OS X (Mavericks/Yosemite included) anywhere and anytime you like it. 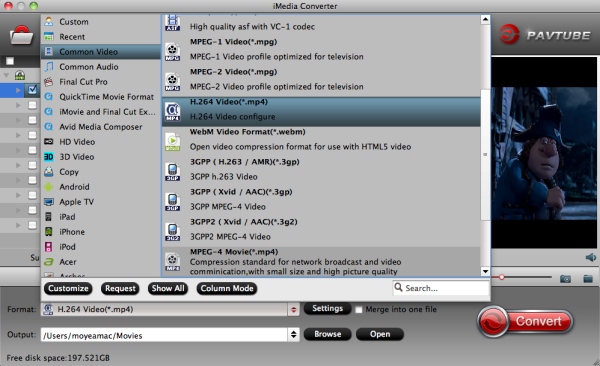 Pavtube iMedia Converter for Mac has also Windows version, featuring the same functionality with Mac version. It’s the all Windows solution alternative to Freemake for Windows XP/2003/Vista/Windows 7/Windows 8/Windows 8.1.